To get the most from our products we quite often need to 'think outside the box' when it comes to themes and holidays. You don't always need to have elves for Christmas, hearts for Valentine's Day or bunnies at Easter. Sometimes you can get away with using cute icons that don't depict the holiday you are working on but they have the perfect color scheme. My Easter project today doesn't have a single bunny or chicken in sight, however, it is covered in eggs... along with bacon, waffles, pop tarts and a few hearts thrown in for good measure and will make the perfect Easter gift for my youngest son who loves nothing better than a cooked breakfast. Don't get me wrong... he also loves chocolate so hopefully Easter Bunny drops in a few chocolates on his way past. 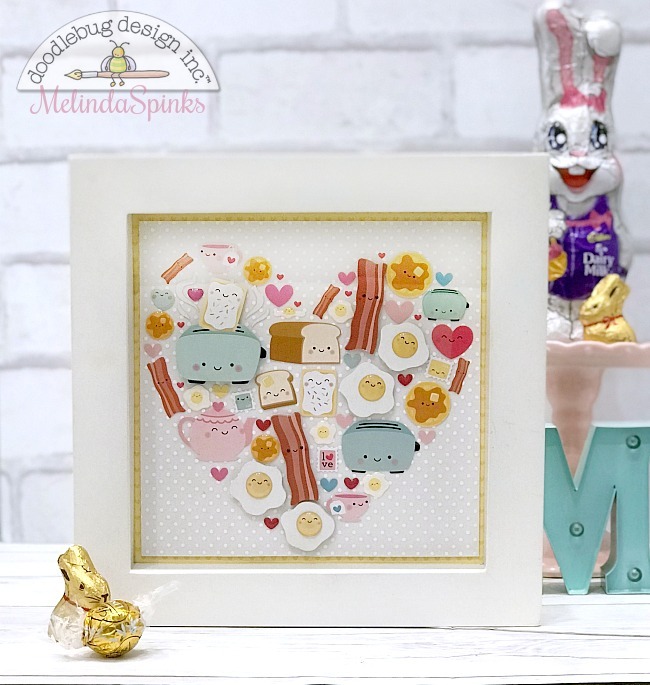 To create the shadow box I started off with a base of Swiss Dots vellum and placed a heart shape underneath to use as a template. I then adhered the largest of the icons evenly across the heart before filling in all the gaps with smaller embellishments. 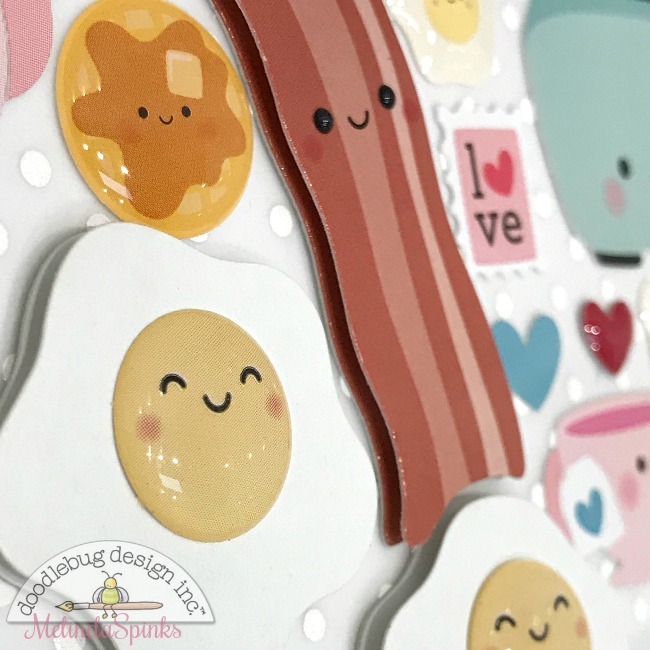 Using Doodle-Pops and Sprinkles along with stickers gives a wonderful dimension to the project from all the different thicknesses in the layers. 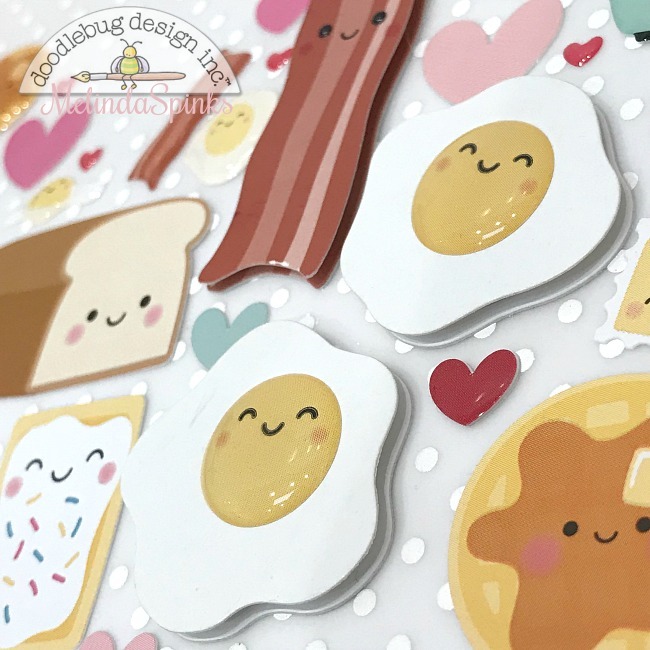 And how cute are those egg Doodle-Pops from the 'So Punny' collection? Doodlebug have both 12 x 12 and 8 x 8 shadow box frames in white, black and brown. For this project I used the smaller size frame in white. 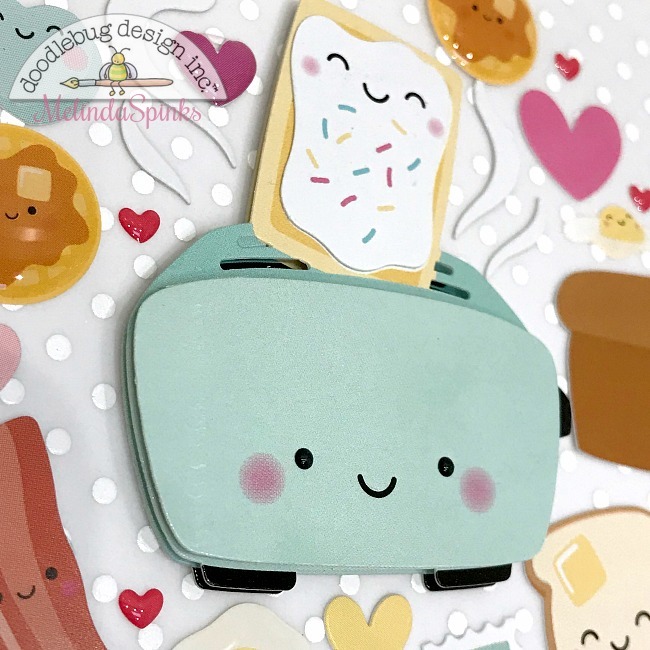 Shadows boxes are a perfect way to create a gift for someone that has a little bit of dimension and a whole lot of fun. This is adorable!! I’m sure your kiddo will love it!!! !